Connector - Flex Tubing - 5-1/2in - Teflon (Latex Free). Connector - Flex Tubing - 5-1/2" - Teflon (Latex Free). 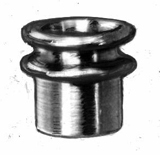 Adapter - Bushing - 15mmM x 5/8" - Flex/Bag - Delrin (Latex Free). 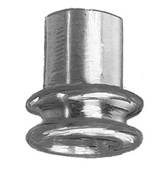 Adapter - Bushing - 15mmM x 5/8" - Flex/Bag - Aluminum (Latex Free). 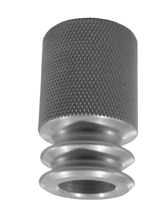 Adapter - Bushing - 15mmF x 5/8" - Flex/Bag - Delrin (Latex Free).